On Saturday, Apr. 21, Mayor Allen Joines will help one of Winston-Salem’s oldest philanthropic organizations begin a new chapter in its 95-year history. 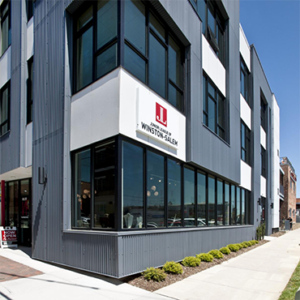 Mayor Joines will kick off the Junior League of Winston-Salem’s 13th annual Tour of Fine Spaces fundraiser with a ribbon-cutting ceremony of its new headquarters in the heart of the downtown arts district. Tour of Fine Spaces attendees will have the opportunity to tour new and renovated homes throughout the Winston-Salem area for a firsthand look at the latest decorating, design, and building trends. Attendees will also be able to consult with on-site interior designers, cabinetmakers, flooring/tiling specialists, architects, and builders. 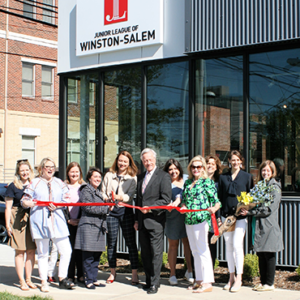 The Junior League of Winston-Salem is an organization of women committed to promoting volunteerism, developing the potential of women and improving the community through the effective action and leadership of trained volunteers. With approximately 1,000 members, the Junior League of Winston-Salem has helped to inspire and establish vital Winston-Salem-based community organizations and events, including The Arts Council, Kaleideum, Ronald McDonald House, Komen North Carolina Triad Race for the Cure, READ TO ME and BOOKMARKS Festivals. Visit the Junior League of Winston-Salem website, www.jlws.org, for more information. Thank you to our Tour of Fine Spaces sponsors Berkshire Hathaway HomeServices and Winston-Salem Monthly.